Rhode Island Creative Magazine (RICM) was founded by Kimberly Sherman Leon in February 2012 to create awareness of Rhode Island’s creative arts industry. RICM has become a catalyst for raising awareness of the economic value of the creative arts industry to the state and the springboard of expanded interest and understanding of the abundance of talent and creative energy in the local area. Thousands of creative arts professionals, business leaders, corporate executives, students and teachers, and other individuals from all walks of life subscribe to the e-magazine, which has realized significant growth in new subscribers with the release of each edition. In addition, there has been a consistent influx of unique visitors to its accompanied website. These platforms and the expansion of its social media networks have resulted in an integrated marketing structure that offers multimedia and multi-platform exposure and reach for businesses seeking to attract new customers. = Greater Awareness, Appreciation and Understanding of our industry. This truly unique one-of-a-kind publication connects the reader to the story of the craft; communicates the unknown and collaborates the creative and business sectors, all within a promotional and educational tool that delivers tips, resources and inspiring stories for students, entrepreneurs, business owners and consumers; in a freedom of creative expression platform called a magazine. The Rhode Island Creative Magazine makes Rhode Island and the City of Providence, its Creative Capital, shine!" Each monthly issue features information for entrepreneurs, business owners and consumers, and showcases designers, artists, printers, writers, brand and marketing experts and digital specialists. These articles are inspirational and educational, written and contributed by local and passionate professionals in this industry. SHARE THE MISSION, SHARE THE LINK, THE MORE YOU SHARE, LARGER THE AUDIENCE! RICM IS GIVING ARTISTS OF ALL PROFESSIONS AN OPPORTUNITY TO BE SEEN! • Articles and advertisements are designed by the contributor or advertiser themselves to showcase their style of creativity. RICM provides creative services as well if needed. • Articles contributed and written by all kinds of professionals in the creative industry. They are inspiring, educating and informative for all readers. • Job postings, press releases and calendar of events will be posted monthly within social media outlets and on-line as they come in. You must complete the contact form if you have anything you'd like to be posted. • Helpful tips and guides for new and current business owners, entrepreneurs, students and veterans. RICM articles are designed "not" within a template. They are treated as a blank canvas every time to connect to the article's content and showcase visually what it is about. Every designer is different and has their own style. We don't restrict art, we encourage a free flow. By taking on a variety of designers, this gives RICM a different flair of design. It also provides opportunities to our local freelancers to learn how to design for a publication and add another skill set to their resume and an art piece(s) to their portfolio. The designer receives recognition for their work and is named on the RICM team. 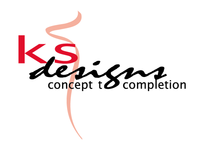 Rhode Island Creative Magazine is the official publication of ﻿KS Designs﻿, LLC.